There's nothing like a stroke of black liquid liner, except when every day is a stroke of black liquid liner. When my beloved black liner feels stale, I break out some more colorful options. 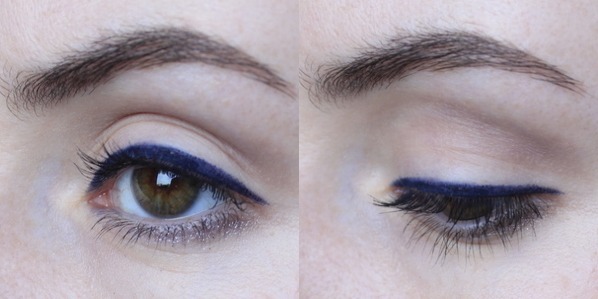 And while I love a shrieking cobalt jolt of pigment, there are lots of gorgeous neutral or neutral-ish eyeliner options if you're not ready for a smack of color. 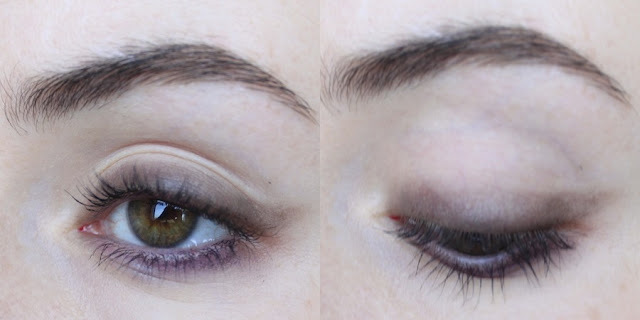 Here, I go over a few of my favorite non-black neutral eyeliners for fall. While not the most long-lasting formula in the world, this emerald green is a truly gorgeous shade. 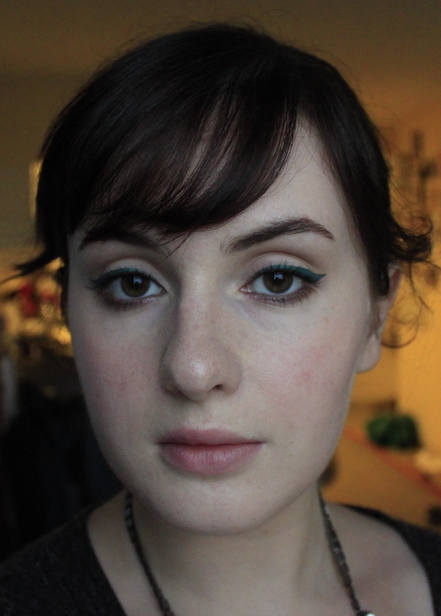 It took me a while to find a not-blindingly-shimmery deep green too, which makes me appreciate this liner even more. I applied it in a classic cat-eye shape with a smudge of shimmery brown liner on the lower lashline & waterline. Apologies in advance, because both of the Urban Decay liners in this post were part of a limited-edition holiday set from last year. However, I have to say that I find Sephora's waterproof liner pencils a great alternative and I believe they have similar shades. 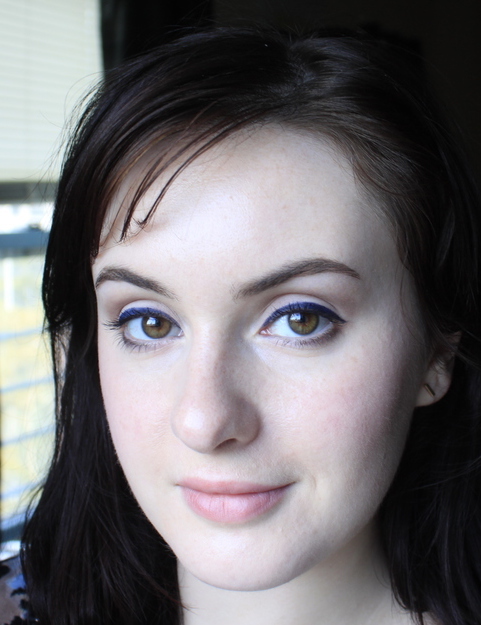 A gorgeous matte midnight blue, Bobbi Brown's gel liner is very long-wearing, and well worth the $25 investment in my opinion. 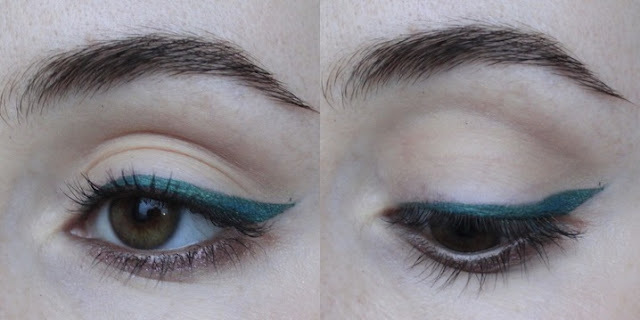 I do find this formula a bit dry, meaning that it doesn't create the smoothest line, which you can see here on the outer corner of my eye; so I'll often wet my liner brush with a bit of Inglot's Duraline before swirling it in the pot to make the formula a bit creamier and even more long-lasting. I've applied it here in a very simple, flick-less shape that's great if you want to make you eyes look bigger because it's highest at the top center of the eye. Placing a subtle smudge of neutral liner just on the outer, lower third of your lashline, and even slightly away from your lashes, also creates a doe-eyed effect. 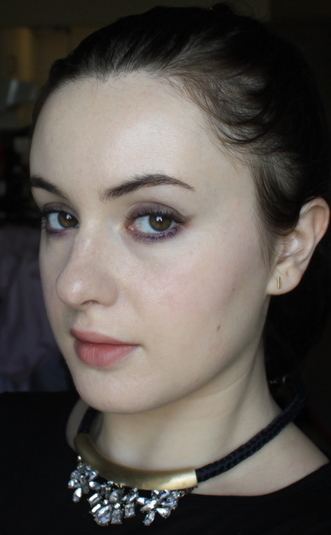 This was my first time using L'Oréal's shadow pencil, and I quite like it but I think it will take some time to master. Essentially, it's a chubby but pointed foam applicator on one end that you dip into a well of shadow in the other end; this is great because it allows you to cover a large area quickly, but you won't get the smooth result you would with a great crease brush and shadow. My aim here was to create a smokey cat eye, which I was only able to create with the help of a Q-tip dipped into the shadow. But if you like a more smudgey look and don't want a particular shape, this is a great, quick option. I adore Make Up For Ever's Artist Liner because it's so creamy and workable, yet long-wearing and intensely pigmented. This plum is a great option for fall, so expect to see it here a lot in the coming months. I'm hopelessly devoted to eyeliner (I think I'd choose it as my desert island product!) and would love to hear some of your favorites too!